HIGH SCORE IN TRIAL AT BTCA NATIONALS! Congratulations to CH Ott To Be Dirty Diana, “Annie” and Connie Cabanela for winning High Score in Trial from the Novice B class at the BTCA Nationals on September 11, 2011! Breeder/Co-owner: Star Ott, Judge: Marilyn Little. 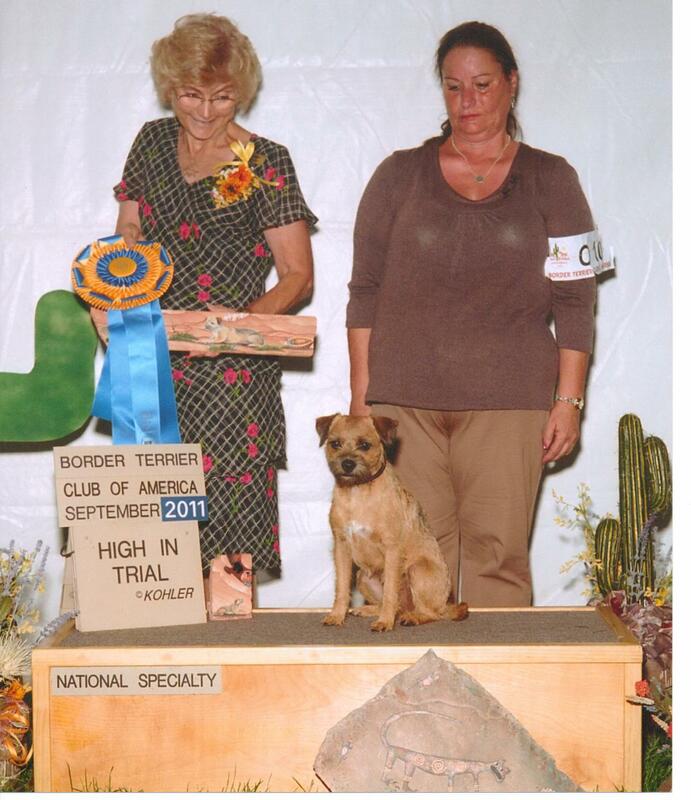 This entry was posted in dog show and tagged border terrier, dogs, obedience training. Bookmark the permalink. 1 Response to HIGH SCORE IN TRIAL AT BTCA NATIONALS! Congratulations Connie and little Annie!!! It was very exciting amongst the rain, hail, thunder and lightning. You were geat!